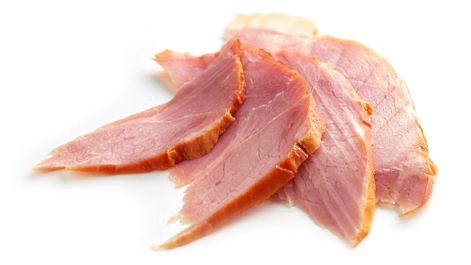 Like cured ham, cooked ham has a language of its own. And what it tells us between its white streaks is essential for discovering the quality of the ham. There are four rules that, with a bit of practice, tell you how to recognise traditionally made cooked ham. Take a trial with any LA SELVA cooked ham: discover the differences that make LA SELVA cooked ham an exceptional product. 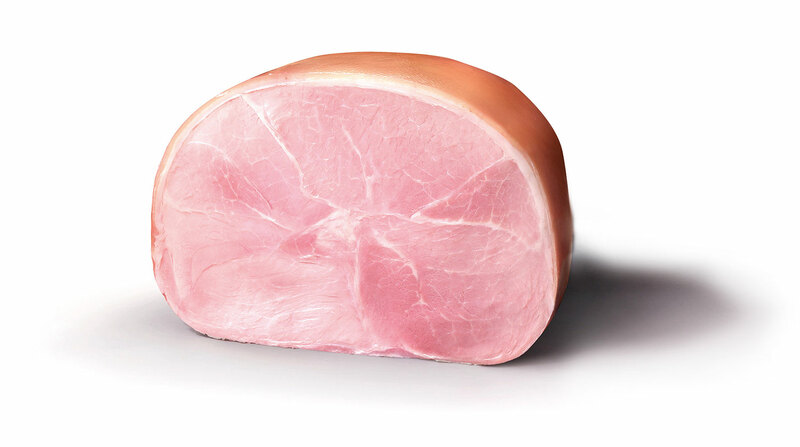 Proper ham should not be confused with cooked shoulder, which is made from the foreleg of the pig and has more nerve tissue and therefore a less tender, mellow, refined texture. Fibrous but not artificially spongy. It is a good sign if the slices are not too consistent: when pulled apart, the slices should break irregularly, following the lines of muscle. 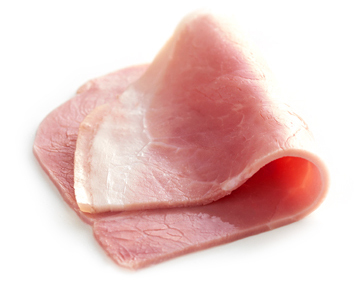 An almost perfect slice of ham with an even appearance and no fat is a sign that it has been made from pieces of different hams. In a proper ham from one piece, you can clearly see the muscles, the fine veins of fat and different shades of colour. 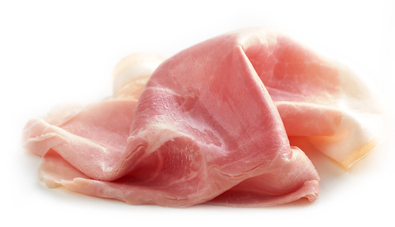 When tasting a good cooked ham, we should only notice the natural flavour of the cooked meat. A delicate, refined flavour; an excessively strong flavour suggests that additives may have been used. 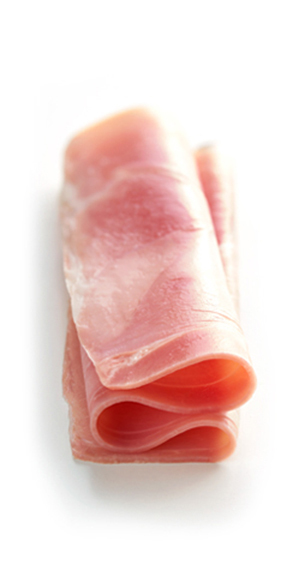 Each ham has its own personality and characteristics. To appreciate all its qualities, we recommend consumers consider the following cuts. Un corte manual de unos 3mm es ideal para jamones ahumados de gran fibrosidad, como el jamón ahumado en pata. 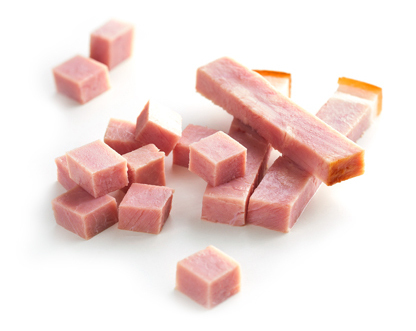 Por su punto de sal, el Jamón Cocido en lata es perfecto para degustar en dados o sticks de unos 10-15 mm de anchura. Por su punto de sal, se recomienda cortar el jamón cocido sin fosfatos en viruta fina o rebanada de máximo 1 mm de grosor.